Nearly fifty past winners have so far entered the lap which will take place on Wednesday 28 August between the Newcomers Race and the Junior Manx Grand Prix. Over the years since the first race in 1923, won by Les Randles many winners have gone on to win one or more TT Races, become British and World Champions. 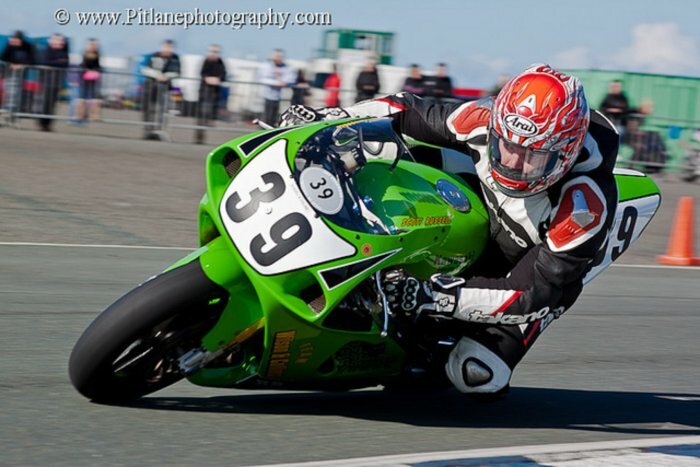 Phillip McCallen wrote his name into the Manx Grand Prix record books when he became the first competitor to win a Newcomers race and a Manx Grand Prix race in the same week in 1988, taking the honours in the Newcomers Lightweight on the Monday morning and Lightweight Manx on the Friday morning. The Portadown rider went on to win 11 TT races in ten years between 1989 and 1999, including four in a week in 1996, a record that was only bettered in 2010 by Yorkshireman Ian Hutchinson who had commenced his Mountain Course career in 2003 in the MMCC Newcomers Senior race, taking the chequered flag in the process. Another Yorkshireman Nick Jefferies first entered the Lightweight ‘Manx’ in 1975 finishing in sixth place and rode each year, winning the Senior Manx Grand Prix in 1983. Moving to the TT he eventually took the Senior TT laurel wreaths in 1993. Winning one race during the Manx Grand Prix is a major achievement, completing ‘the double’ is magnificent and so far six of the elite band of men are taking part in the celebration lap, the aforementioned Phillip McCallen, Dave Milling (1991 Junior & Lightweight MGP), Tony Duncan (1995 Junior & Lightweight MGP), Martin Sharpe (1999 Newcomers Lightweight and Ultra-Lightweight MGP), Craig Atkinson (2006 Junior & Senior MGP) and Olie Linsdell (2007 Newcomers Lightweight & Ultra-Lightweight MGP). Ernie Washer, winner of the 1958 Senior Manx Grand Prix is so far the earliest winner taking part in the lap. Local winners include Gary Carswell (1997 Senior MGP) who will be reunited with the Wilson & Collins Kawasaki for the occasion, Gary Radcliffe (1985), Junior MGP), Mike Kneen (1980 Junior MGP) Norman Kneen (2003 Ultra-Lightweight MGP & 2004 Classic Lightweight) and Derek Whalley (2004 Classic Senior). In addition to the Past Winners Celebration lap, all past winners will be present in Pit Lane on Thursday 29 August as part of a “Meet the Winners Day”. Could any Past Winners who have not already received an invitation to attend the 90 Anniversary fromthe Manx Motor Cycle Club, contact the club so they can be included in the celebrations.